June 30th, 2015 | Moving Tips, Packing Tips. 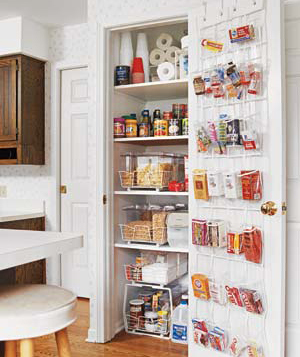 Your pantry and your refrigerator are some of the last spots in your house that get your attention before a move. After all, you have to eat in between packing up your belongings and tidying up rooms. Still, with moving on your mind, you find yourself staring at your pantry, mentally trying to fit each item inside a moving box. You wonder if you should just leave some items behind. Sure, you spent money on all those frozen veggies, but you don’t think they’ll survive the two-day road trip to your new house. If you feel unsure what food items to transport on your move, consult the list below. We’ll tell you what to save, what to toss, and how to pack it all just right. Bring only food items that will remain edible and stay inside their containers during the trek to your new residence. In most cases, non-perishable and unopened items fit this criteria best, but you’ll find a few exceptions included on the list below. Canned goods of all sizes should do just fine during your move. 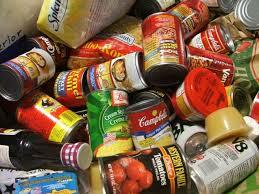 Check expiration dates, and discard any cans that have a fast approaching use-by date. Pack everything else in small or medium boxes so you or your movers can lift them without difficulty. A few weeks before your move, visit local grocery stores and ask for boxes. Many stores have extras available for customers at no extra charge. These boxes fit canned goods snuggly, too, meaning they won’t shift in transit. Like canned goods, these pre-packaged foods are easy to bring along. Stack them side by side in their own boxes, or at the top of unfilled boxes. You can also put them in canvas reusable grocery bags and store them in your trunk until you arrive. • Put unopened bags of dry ingredients into boxes or plastic storage barrels. • Pack loose, opened ingredients into reusable kitchen storage containers. • Tape shut any spices, such as salt containers, that may open if tilted. • Place spice bottles in boxes with canned goods. This uses empty space without adding too much weight. If you have a stockpile of foods to use in emergencies, bring it along to your new house. As much as possible, put these cans into boxes or durable plastic storage bins. If you stock your food storage on shelves in an easy-access location such as the garage, ask your movers to wrap these shelves in industrial plastic wrap. This saves you having to disassemble the shelves and reassemble them later. You should eat up, throw out, or donate any foods that didn’t make the above list in the final days before you move. This includes food stored in gla ss jars and anything that requires refrigeration or freezing. Of course, if you’re moving only a short distance, you might be able to salvage some items that fit into those categories. Remember, the cost of your move is based on the weight plus distance your goods are traveling. You may want to consider losing some of the weight and helping others by donating your unwanted, non-perishable food items to local food banks. Donating your food is easier than everwith Move For Hunger. Through Move For Hunger, your local Wheaton agent will take your donated food and deliver it to a local food pantry. 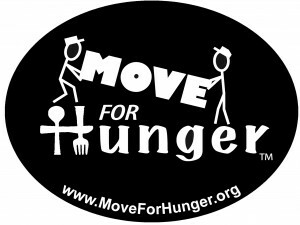 Talk to your local Wheaton agent to learn more about Move For Hunger Program. You might balk at the amount of food you must get rid of to meet these requirements, but consider the alternative. Think of the mess you’ll find if a jar of spaghetti sauce breaks open between here and there. Tell yourself it’s okay to spend money on groceries in your new city to avoid cleaning up nasty spills. That’s it. You’re all set to pack your pantry. 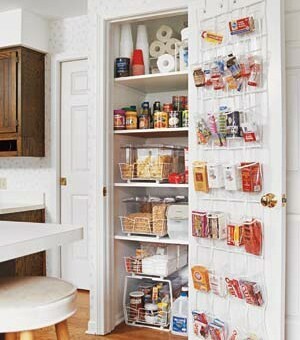 Once you arrive at your new house, check out our blogs about organizing your pantry and your kitchen.